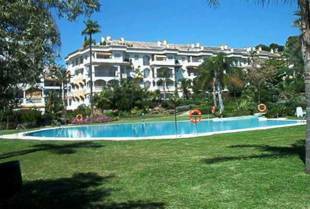 Ground floor apartment located in a lovely complex, close to Cabopino Yacht Club in Marbella. The apartment has 2 bedrooms and 2 bathrooms and is close to all the amenities, including the golf courses. It has hot and cold air-conditioning and a tropical community garden and pool. 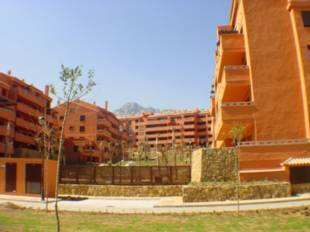 Nice one bedroom apartment situated in a gated complex with 24 hours security, communal gardens and swimming pool. Just a few minutes walking from Marbella centre. Expect to be finish beginning 2006. One bedroom, a bathroom, fully fitted kitchen, air conditioning, marble floors, garage, big east facing terrace with garden and swimming pool views. 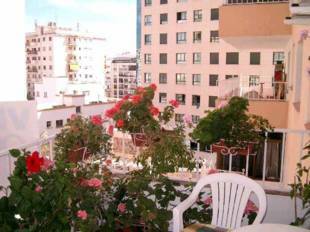 Lovely recently built 2 bed, 2 bath apartment, situated very close to the town centre of Marble, enjoy´s beautiful sea & mountain views, close to shops, beach & all amenities. The apartment building is surrounded by a nice garden with pool. The price includes a garage. This two bedroom apartment in the centre of Marbella is ideal for a holiday apartment or investment it is five minutes from the beach and close to all amenities. 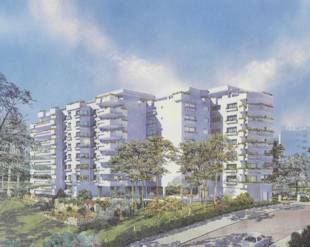 Luxury 3 bedroom apartment located in the urbanisation of Bahia de Marbella, a prestigious urbanisation only a five minutes drive into the centre of Marbella. Located in a gated complex with 24 hour security, beautifully landscaped gardens, swimming pool with bar area, direct access onto the beach, built to the highest standard and with luxury fittings, offering partial sea views as well as to the hills and gardens. Fabulous Apartment with an exclusive and priveliged position in the heart of Marbella, situated in a region of exceptional natural beauty. This apartment has all the comfort and luxury available, just a step away from the Beach Promenade and the most incredible views over the sea and the mountains. LUXURY RESIDENCE IN SIERRA BLANCA . THE BEST AREA IN MARBELLA. TROPICAL GARDEN WITH LARGE 2 POOL (1 CLIMATIZED) SAUNA, GIMNASIUM, SECURITY 24H. LOVELY GROUND FLOOR APARTMENT WITH LARGE PRIVAT GARDEN 300M2. BEAUTIFULL FURNITURES Y DECORATION, LARGE LIVING ROOM WITH CHIMNEY, SOUTH ORIENTATION WITH VIEW TO PUERTO BANUS AND MOUNTAIN.